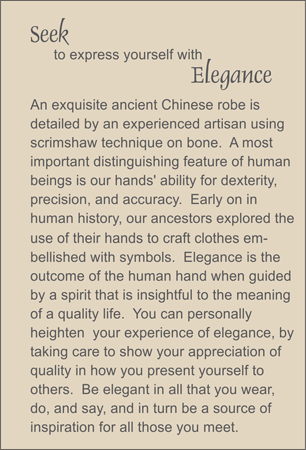 MEDALLION: Scrimshawed bone rectangular medallion depicting elaborate ancient Chinese ceremonial robe. ACCENTS: Carnelian beads carved with the ancient Chinese Shou beads for long life, and faceted carnelian ellipses. COMMENTS: Give this medallion to someone who loves to use their hands to create beauty.